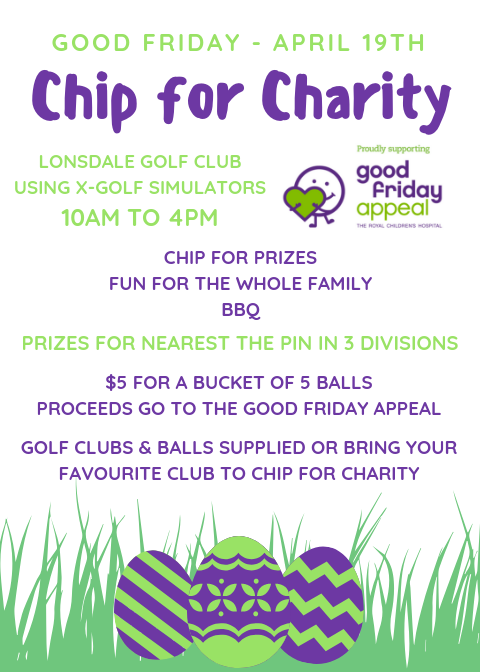 Chip for Charity is back on Good Friday and this year we’re using the X-Golf Simulators! Buy as many buckets as you like! Come and join us for a fun family day out supporting a very worthy cause in the Royal Children’s Hospital Good Friday Appeal. © 2015 Lonsdale Golf Club.